﻿Dr. 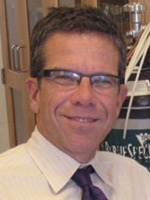 Michael Katze is the recipient of the 2012 Paradigm Builder Lectureship. Dr. Katze’s lecture will focus on the emerging field of systems biology in the context of viral diseases. Traditional virology research is being increasingly complemented by highthroughput functional genomics, proteomics, and metabolomics technologies. Research on epigenetic gene modulation, microRNAs, and long noncoding RNAs adds additional levels of complexity to understanding regulation of biological processes. The large amounts of information generated by these methods can be integrated by computational bioinformatics programs to create more realistic models of complex biological systems in health and disease. At one level, such models provide novel system-wide frameworks for experimental validation of molecular interactions and mechanisms they predict. Equally important, these models also allow making predictions for how to rationally and effectively design new viral diagnostics, therapeutics, and vaccines. Dr. Katze is a world leader in the investigation of host-virus interactions. His virus research interests span over more than 30 years, starting from his graduate work at Hahnemann University where he studied coxsackie and herpes simplex viruses. He continued post-doctoral studies at Uppsala University investigating expressional regulation and pathogenesis of adenoviruses. His enduring interest in influenza virus, hepatitis C virus (HCV), and retroviruses continued after he joined the University of Washington as an Assistant Professor in 1987. The highlights of this research include identification of the HCV NS5A protein as a “viral interceptor” of cellular signaling potentially enabling HCV pathogenesis; one of the first applications of microarray technology to large-scale definition of cellular gene expression changes during HIV infection; and the use of functional genomics to define roles of sustained activation of host immune and cell death responses in virulent influenza infections. Throughout his studies, Dr. Katze has developed a deep understanding of interferon-mediated immune responses against viral infections. He has made significant contributions to defining and modeling viral pathogenesis and the varied strategies used by viruses such as cytomegalovirus (CMV) to evade these host defense mechanisms. His recent work focuses on the development of systems biology, including functional genomics, proteomics, and computational approaches to better understand the molecular interactions between the virus and its host as the key to developing new vaccines and better antiretroviral drugs. Systems-level views from his laboratory have expanded to encompass host genetic variation, metabolic pathways, epigenetics, microRNAs, and long noncoding RNAs to complement new experimental systems and technologies that include mouse systems genetics, metabolomics, lipidomics, and next-generation sequencing. Dr. Katze’s research program applies this approach to viruses responsible for worldwide pandemics, including influenza virus, HCV, and HIV. Dr. Katze is currently Professor of Microbiology at the University of Washington and Associate Director and Core Staff Scientist at the Washington National Primate Research Center. He is the Program Director for a National Institute on Drug Abuse (NIDA) Center on Systems Biology of Resistance and Progression to HIV, HCV and HIV/HCV Disease, Co-Director of the Pacific Northwest Regional Center of Excellence, and Director of the Center for Systems and Translational Research on Infectious Disease (STRIDE) where these approaches are applied to a broad range of experimental systems, including influenza, HCV, Ebola, SARS, HIV and SIV. He has authored over 230 papers and reviews, of which over 50 are related to the use of functional genomic approaches to study virus-host interactions. Dr. Michael Katze is truly an example of a Paradigm Builder. The Society congratulates Dr. Michael Katze on his outstanding work and research leadership and is proud to host him at our meeting.